My grandmother, Helen Chandler Adams Ingham, was, like her own mother, an extensive world traveler. 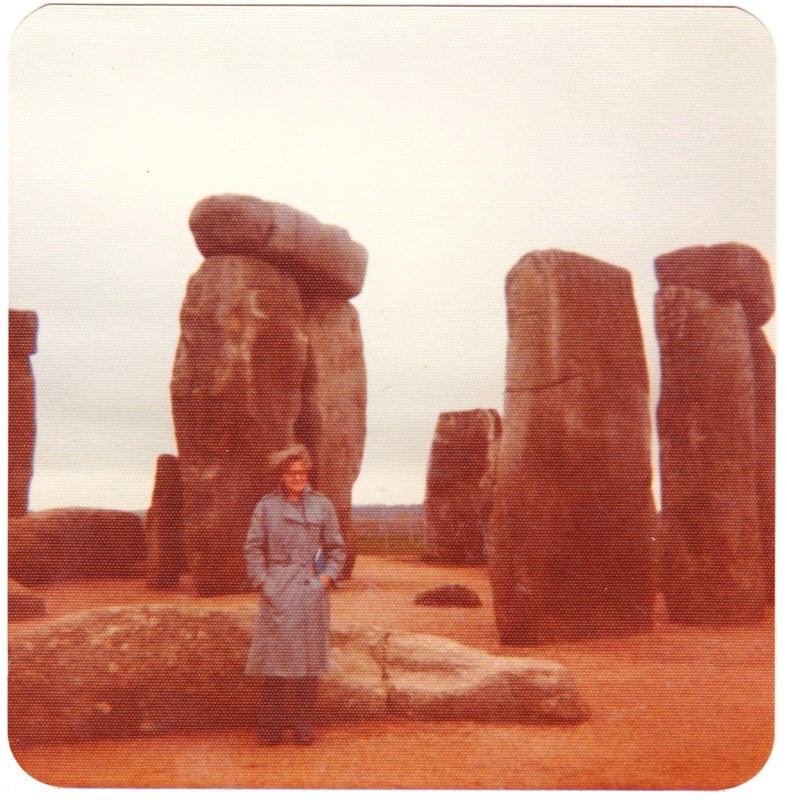 Here are a couple of undated photos of her touring the United Kingdom. First, above, is a shot of her on a windy and overcast day at Stonehenge, in Wiltshire, England. I have not been to Stonehenge, but I've seen This Is Spinal Tap and portions of Children of the Stones, so that's pretty much the same thing. 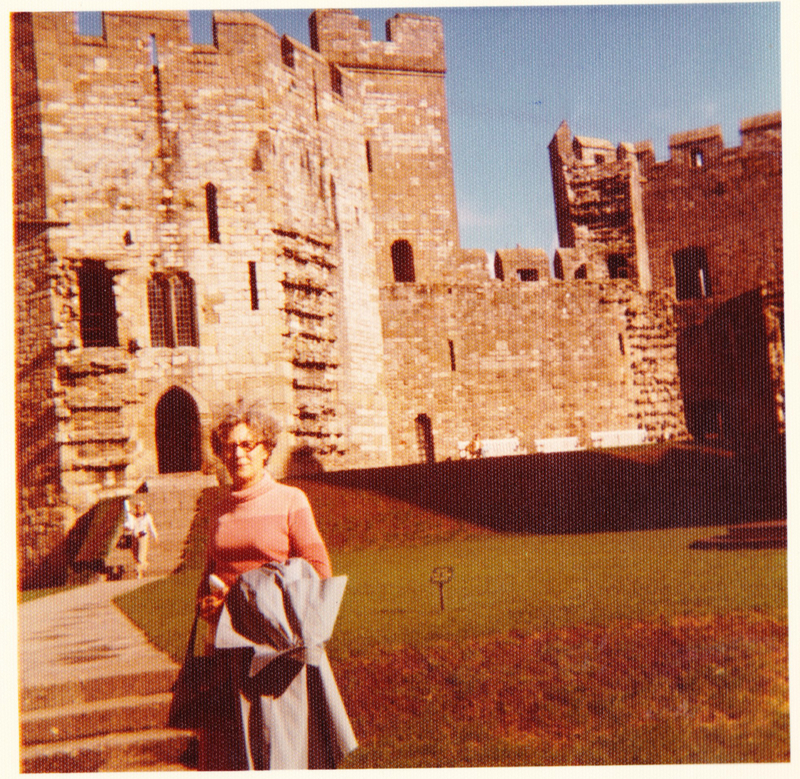 Below is a snapshot of Grandma (Beembom), on a sunny day, in an interior courtyard of Caernarfon Castle in Wales. This iteration of the castle dates to the late 13th century and was constructed under the rule of Edward I, who probably should have gotten a better artist for his portrait. The castle was sacked and besieged before its completion, and its beauty today is thanks to repairs and restoration that began in the 19th century. You can view a nifty gallery castle photos in the Wikimedia Commons.